Guarda is excited by creative industries, starting as an author, then moving to digital platforms. He became particularly interested in how the internet was driving change in financial institutions and subsequently became a banker. He writes regularly on leading websites and for magazines. He lectures at various international business schools and speaks at workshops along with educational events. He has an interest in community building. Guarda believes people should use the tools available to them to improve society. The tool most available in our time is technology. How we use this is crucial. Money, technology and ideas must be combined to work for improving humanity. Incorrectly used technology can be a force of destruction. Guarda is a creative man who wants to be part of the change for good, and for his children to be proud of him. His newest and most exciting venture is Humaniq, which was co-founded by successful investor Dmitry Kaminskiy and blockchain expert Alex Fork. Humaniq, launched in 2016, hopes to build a world where access to financial transactions is widely available to all people, particularly in undeveloped and developing countries. This includes the two billion people estimated to be financially excluded. Humaniq is beginning as a blockchain banking application, which uses biometrics in place of traditional identification documents. It is estimated that 1.5 billion people do not have identification documents and therefore cannot access financial institutions. Humaniq will allow these people to get access to financial institutions for the first time. Humaniq employs a multi-cultural group of people, including the author of this post as an advisor, who wish to introduce advanced technology into the undeveloped areas of the world with the goal of sustainable development. Making financial services available should help to eradicate poverty. The World Bank estimates that more than fifty percent of the adult population in the world’s poorest nations do not have access to financial services. Banks have also not been able to reach these markets, due to the large proportion of the population without reliable identification. Humaniq seems to have considered all the obstacles to entering these potential markets. Biometrics overcome the lack of identification by using face or voice recognition. Symbols will be used in place of words to overcome language barriers. Biometric identification will require a basic smartphone with a microphone and a camera, the cheapest of which costs around $20. Dinis Guarda, the Chief Executive Officer of Humaniq, was recently interviewed by our founder Derin Cag following the successful ICO launch of Humaniq, a truly unique organisation created for the purpose of launching a financial application which could change the lives of millions with no access to financial institutions. Within one month the ICO attracted ten thousand participating investors and $4M pre-seed funding. Guarda has a vision of creating a global community based on the sustainability of creating value using technology. He is starting with small pilots and case-studies. The first pilot project by this startup organisation took place in India and was more successful than they hoped. The Africa pilots will start in Nigeria and Ghana, initially in the suburbs and then spreading to rural areas, creating financial inclusion to reduce poverty for the previously excluded. The use of biometrics will give access to millions of people with no access to financial services as they do not have official identification. Humaniq aims to create a simple platform able to cross language barriers which even illiterate people could use. This application will make microfinance transactions accessible to the two billion people who have no access. Guarda has a positive view of the current state of the world when compared to any other time in the history of humankind. He believes knowledge, technology and ideas must work together or technology will rule us. He thinks that people have been obsessed with technology at the expense of ideas for too many years. His earlier optimism about technology development has changed to soft anxiety as he observed new challenges in the digital world such as fake-news. He believes technology can be used in both constructive or destructive ways. The development of artificial intelligence is happening faster than we know and it can all go wrong, especially if it is used to manipulate finances, or economies. Guarda wants to be on the constructive side of history. This interview of a remarkable man who has embarked on a truly remarkable journey is well worth watching. This may be the beginning of massive humanitarian change for the good of the poor and dispossessed. 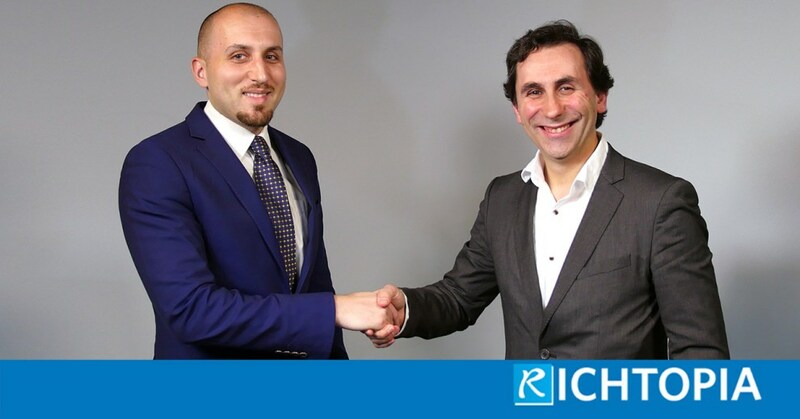 Disclaimer: Our founder Derin Cag and Dinis Guarda are business partners through their organisation Blockchain Age, Derin is also an Advisor/Shareholder of Humaniq.